If you’re still new when it comes to fishing, you ought to know that there are many different kinds of fishing rods you can make use of. 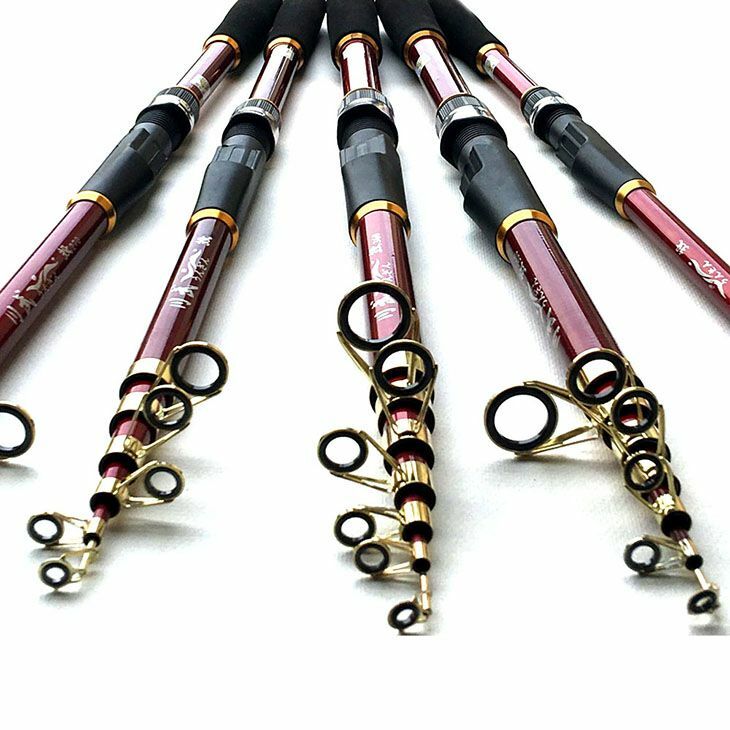 While a lot of us may be accustomed to seeing all these rods several feet long, we might think, and it’s also true, that bringing these around and storing them could be a cumbersome task, given their size. To help solve this problem, the collapsible fishing rod was born. If you’re on the lookout for means to save on space, then this is definitely a great option for you. 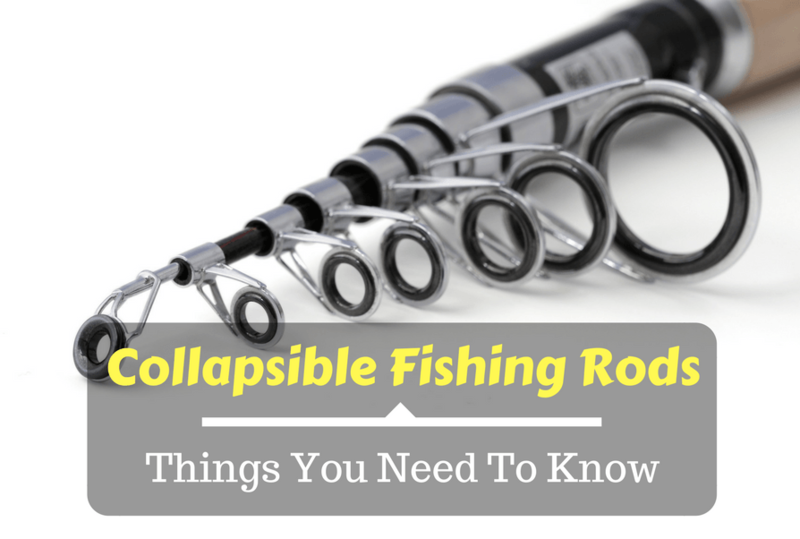 If you want to know more about the collapsible fishing rod, then you might as well read on. As previously mentioned, there are several types of fishing rods. These types are usually classified according to their size, material which they are made of, as well as specialized mechanisms, should there be any. Having said that, these types include Carbon Fiber, Fly, Modulus, Spin and Baitcasting, Spinning, Ultra-light, Sea, Ice, Surf, Trolling, and of course the Collapsible Type. The Collapsible Type of Fishing rod also goes by the name Telescopic and is named such given that these somehow work as a telescope, as you could increase or decrease its length in a similar manner. 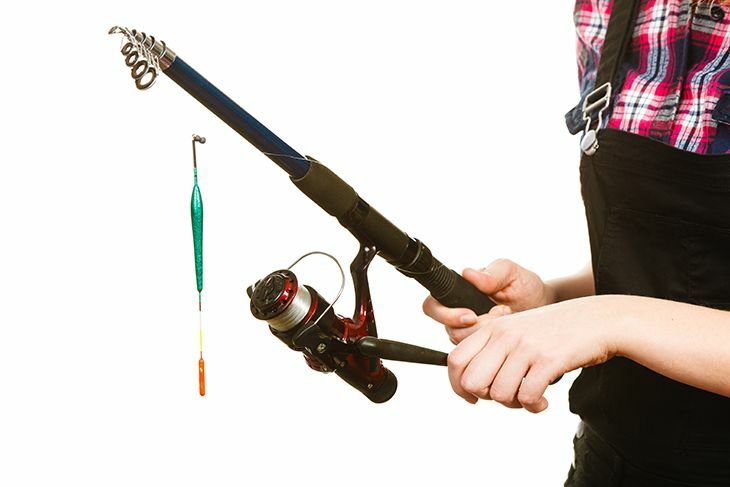 The collapsible fishing rod is collapsible from a longer length to a shorter one, with its height possibly being as short as 1.5 feet to as long as 30 feet. 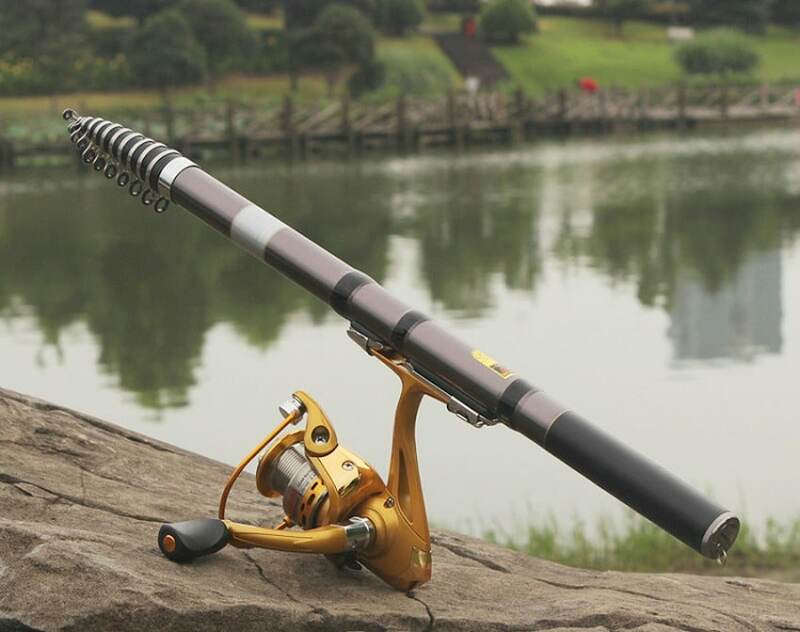 This particular kind of rod still is made from similar materials of other types, such as fiberglass, graphite, and carbon, with some even being composites. One of the things that make this kind of fishing rod different from others is the fact that it could be retracted of extended. This would allow you to adjust the length according to the depths in which you are fishing or the place where you are to go and fish. For it to be extended or retracted accordingly, you would see that it's segmented in nature, with as many as five segments. Each of these segments is made to fit well inside each other, enough for it to stay secure and to open or close freely. The extent of which these segments could be opened or closed could be adjusted depending on your preference. One of the main problems associated with fishing rods is the fact that they are difficult to store. Apart from having to keep it at bay from corrosive materials, and other things that would cause it to rust and deteriorate, storing conventional fishing rods would require you wide, ample space to fit it properly. These rods, ideally have to be stored lying down, and not upright, which could be a problem for houses and storage areas with small spaces. With collapsible fishing rods, storage at all need not be a problem as you could always twist the segments to retract them to a size that would fit. 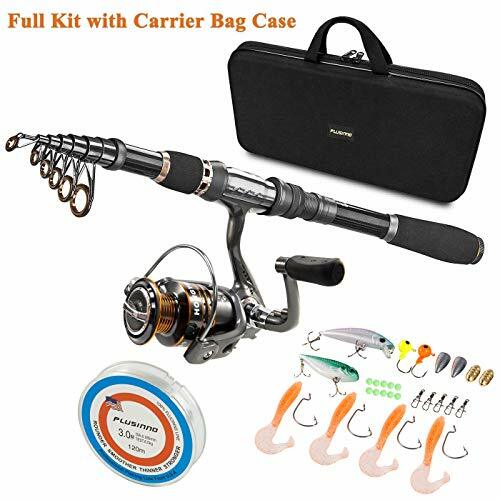 This advantage is directly related to that of the former advantage, given that its small size would enable you to bring it to other places with so much more ease than you would with the conventional fishing rods. This is especially true when you have to commute from your place to wherever it is you would go fishing. 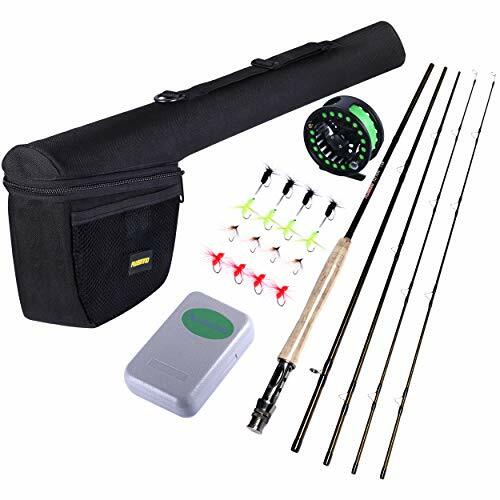 Also, this allows you to squeeze fishing in easily whenever you go for a vacation, as these collapsible fishing rods could just be stashed with all your other bags without having to take up too much space. One of the common concerns associated with collapsible rods is their quality. The reason for this is that people may think that the fact that it’s collapsible means that it would break easier that other non-collapsible rods. This, fortunately, is not the case. The reason for this is that all of these collapsible rods, as previously mentioned are all made from similar materials as that of the conventional ones. As a matter of fact, some collapsible rods could even be much more durable than ordinary ones. 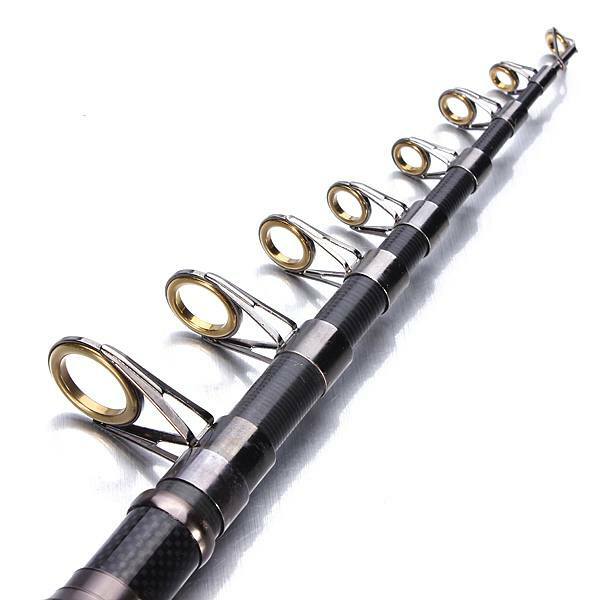 There are, indeed, several kinds of fishing rods you could choose from in the market nowadays. Having said that, it's important to note, however, that these collapsible rods are not from the same manufacturer, and hence are made different ways. 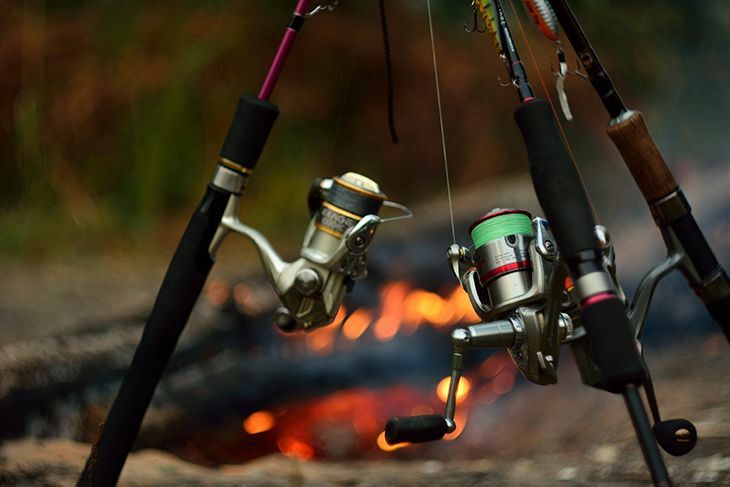 If you're on the lookout for the best collapsible fishing rod, apart from the guaranteed features above, try and look for collapsible rods with ceramic inserts. This makes it friendly for salt water while adding security to the segments. Also, fishing rods made of glass and carbon fiber is a great option as well, given that these materials can withstand even the heaviest of catches. As a matter of fact, certain brands are even able to lift as much as 8 pounds despite being retractable to as little as slightly over 8 inches. 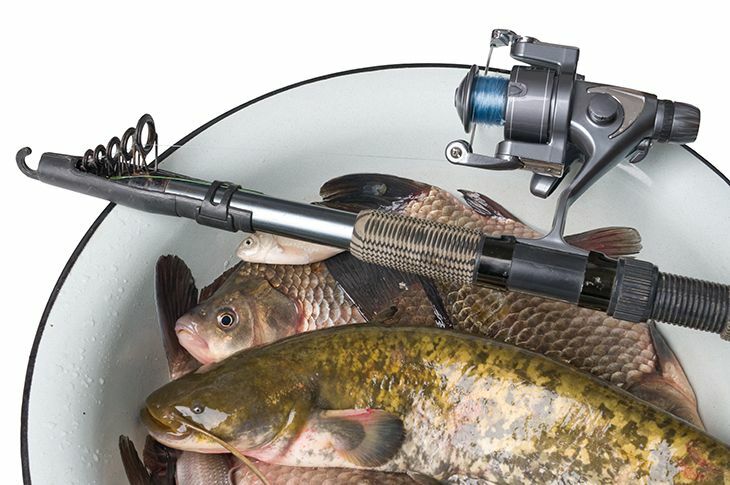 Another feature that would be great if seen on a collapsible fishing rod would most definitely have to be the spinning reel, as some manufacturers may tend to bypass this feature due to the extra short length which manufacturers may usually view as a hindrance to them placing a reel. These collapsible fishing rods are, indeed, a great relief for those fishing enthusiasts who either have very limited space for storage of the necessary materials, and for those who find it difficult to carry their fishing rods around. What's an even greater fact is that these could be as strong as that of conventional fishing materials, given that they are made of a similar set of metals and other components. While these fishing rods would cost more, apart from frequently traveling fishers, it's popular among surf fishermen as this enables them to do the job so much more easily. If you have any further questions and clarifications, then please don’t hesitate to comment below. PLUSINNO Fishing Rod and Reel Combos Carbon Fiber this one.